Trusts and institutions established for charitable and religious purposes may be notified by the Central Government in the Official Gazette, so that their income is completely exempted from tax. In considering such cases, the Central Government will have regard to the objects of the trust/institution and its importance throughout Indian State or States. The eligible trust is required to make an application for grant/renewal of exemption on year to year basis and the exemption is allowed for assessment year/years as notified by the Central Government for such periods not exceeding five years including an assessment year or years commencing before the date on which the notification is issued. 1. Exemption under section 11 (1)(a) is available only to trust/institution which holds the property (from which income is derived) in trust wholly for charitable or religious purposes. It means that all objects of the trust should be for charitable or religious purposes. 2. It is necessary that the property settled upon trust is held in trust. It would not be sufficient that the income is held in trust. 3. The creation of trust must be wholly for charitable purposes or wholly for religious purposes. It should not be created for the benefit of any particular religious community or caste. 4. The creation of the trust should not be for carrying on business for profit. The objects of the trust should be such as those which are charitable within the meaning of section 2(15) of the Income-tax Act (i.e., relief of the poor, education, medical relief, preservation of environment, preservation of monuments or places or objects of artistic or historic interest and the advancement of any other object of general public utility). 5. The exemption is available not to the entire income from the property held in trust. It is available only to that part of the income which is applied to charitable and religious purposes in India. 6. It is necessary to ensure through the trust deed that the income of the trust and of the property is utilised for charitable purposes in India. 7. It is further necessary to ensure that the income or the property of the trust does not ensure for the benefit of the settlor (author) of the trust or his relatives as specified in the Explanation to section 13. 8. All public trusts are required to be registered with the Commissioner by making an application in Form No. 1 OA within one year from the date of creation of the trust. 9. If it is not possible to apply the whole of the income earned from the property held in trust to desired objects in the very year in which the income is earned, then such income should be accumulated or set apart for application to charitable or religious purposes in India in future years. However, it is permitted only up to 15% of the income earned in the relevant accounting period. 10. 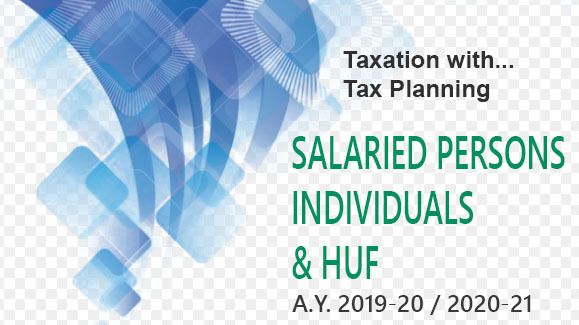 Income in the form of voluntary contribution made with a specific direction that they shall form part of the corpus of the trust is exempt from tax.